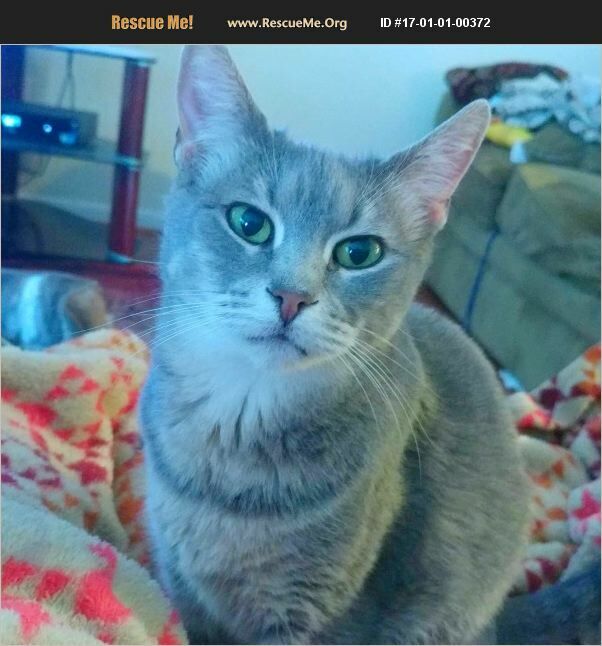 This beautiful gray and white tabby is Alexis. She is between 7-8 years. Alexis is very sweet and loving, litter box trained, and an indoor cat only. Alexis will rub on your hands all day. She lovely in person. If you'd like to meet Alexis, please contact us!